Intelligent frequency hopping technology stands for bugproof digital connections. Due to digital technologies all transmissions will be absolutely interference-free and the picture at the receiver will be enlarged. An integrated microphone offers first class audio quality. 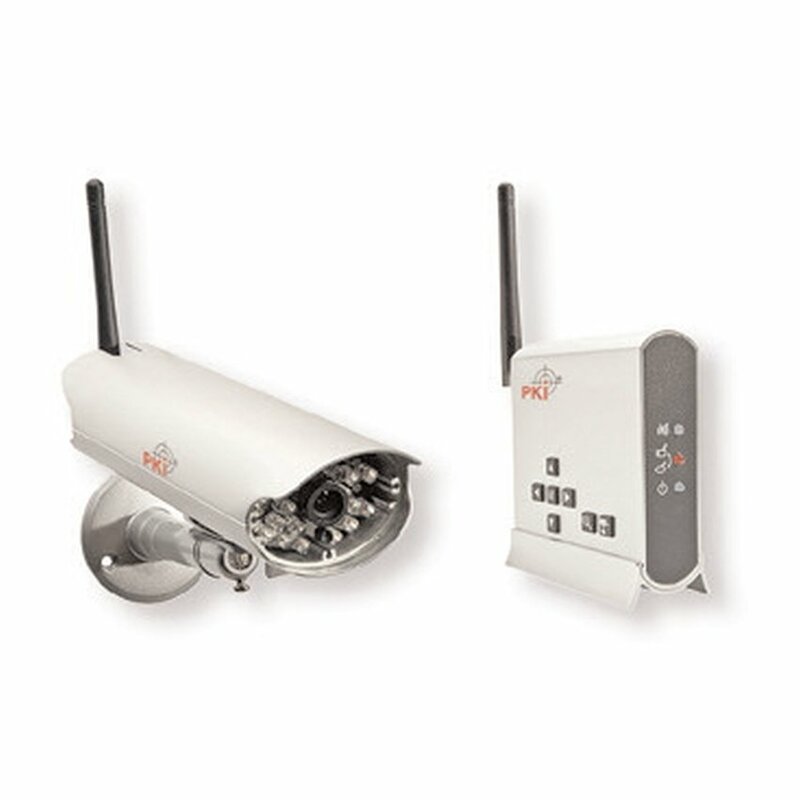 The PKI 5505 features automatic activation of the IR-light for operations at night. The weatherproof metal housing allows operation in- and outdoor. Comes with: antenna, camera mounting, A/V cable, 2x power adapter and installation material.